We park on Bush Rd . between S. Pkwy. 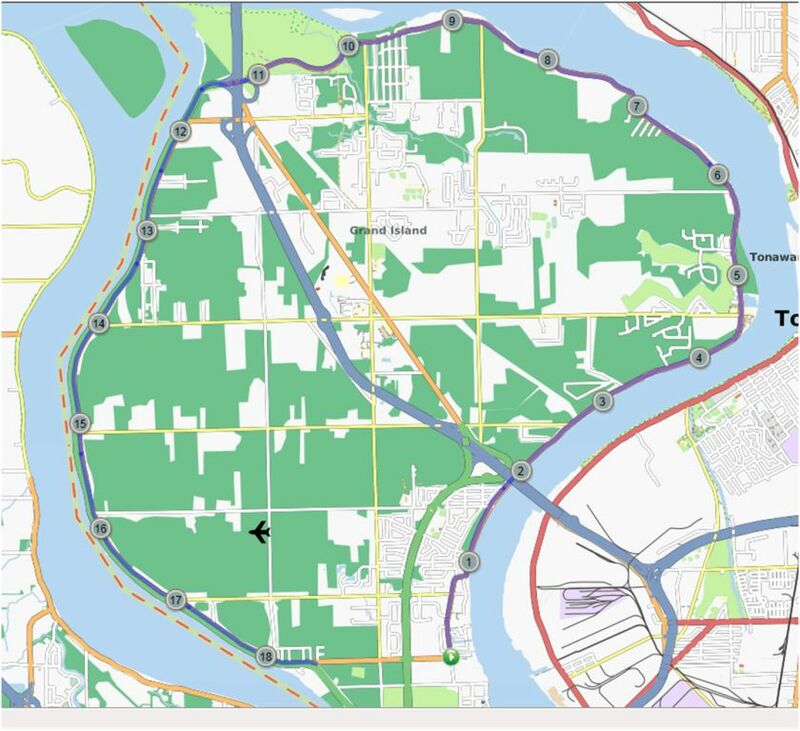 and E. River Rd., there is a cinder parking lot there; we ride 1/10th down the street to the corner of Bush & E. River, each person records their own distance & time, and ride East, counterclockwise until they hit near the corner of W. River RD. & Bush( the end is next to a fire hydrant), you should record 18.3 miles if you start & end correctly. We can use the few tenth’s on Bush between E. & W. River Rds. as a warmup, cool down spot. We are also just a tenth from the path that runs along South Pkwy so if you want we can also get in some bricks. Our first time trial will be May 4th 2017. We also are planning some brick workouts starting in June with the brick venue at West Canal County Park, located on Tonawanda Creek Rd. North. It is in Niagara County off Niagara Falls Blvd.near Townline Rd. We will start at 5 pm and space 1 minute between riders. Obviously everyone cannot start at once so if you cannot make it until 6:30, 7 or whenever as long as you can get done reasonably before dark it is ok. This is as competitive as you make it, but it is also the best way for you to improve your biking ability. No helmet, no riding. In fact helmet on before even mounting your bike, and left on until you dismount. No drafting, I REALLY dislike drafters on tri bikes so if caught will be DQ’d that night. Bush Rd. is to be used as an EASY warm up & cool down venue, speed warmups are to be done somewhere else. Verification of distance and time must be acknowledged by Ed Barauskas, Joe Rutowski or Tony Garrow, by either Garmin or bike computer of at LEAST 18.3 miles, which is the distance from the start line to the finish line ( fire hydrant).